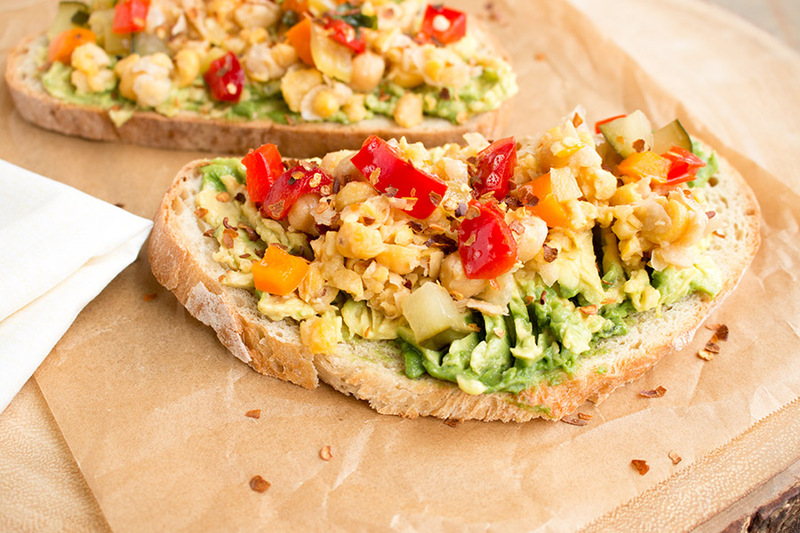 A quick and easy recipe for avocado toast made with seasoned mashed chickpeas and served with a homemade pepper relish or Chow Chow. Another quick meal alert! It’s been CRAZY busy around here lately. We have a number of development projects and I’m smack in the middle of another screenwriting project. I’m sure you know how it goes. You’re SLAMMED with work and the last thing you want to do is come home and make an elaborate meal. We’ve all been there. Your options are stopping off for a quick pizza or Chinese takeout, but then you feel guilty for consuming all those calories. And forget about fast food! Or! You make a quick meal at home. I’ll take that option. This is more of a lunch type meal for my own personal preferences, but it can easily sub in for a super quick meal. We’re talking Avocado Toast. With Smashed Chickpeas. And! Pepper Relish. It’s like an open faced sandwich, a concept I LOVE!. You can, of course, make an actual sandwich out of this, but nah. It’s so good this way, and again, very easy to prepare. I had these done in 15 minutes or so. It takes longer to toast the bread. Of course this recipe requires you to have on hand a pickled relish or Chow Chow, both of which can be store bought, but if you’re looking to make them for yourself, try either this Homemade Sweet Pepper Relish Recipe, this Hot Pepper Relish Recipe, or this Chile-Cucumber Chow Chow Recipe, which is the one I used here. 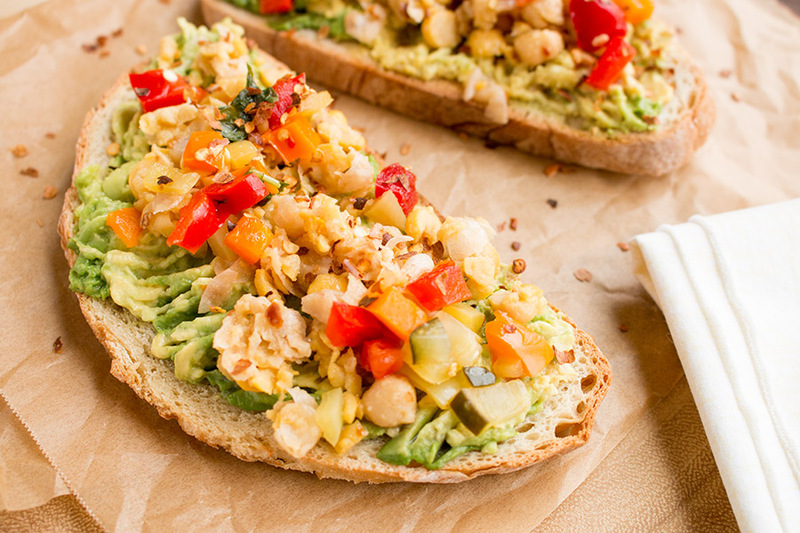 Adding this to our quick home lunch list. Quite satisfying. And did I mention it was quick and easy? I love a good avocado toast. There are so many directions you can go, and this was a big hit. It goes to show why it is so important to have condiments and salsas on hand, like Mike’s homemade Chow Chow or all of his sauces, so we can whip out a delicious lunch or dinner without all the fuss, especially when we’re so busy. Add chickpeas, olive oil, red wine vinegar and red pepper flakes to a small pot. Heat through on low heat a couple minutes, just to warm and soften them. Remove from heat and mash lightly with a fork. 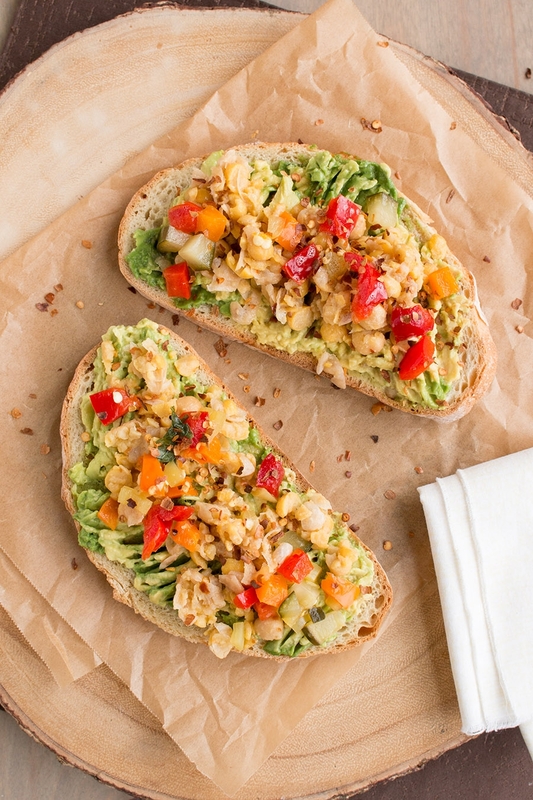 Smash a quarter of the avocado onto each piece of toasted bread. Top with mashed chickpeas and a tablespoon (or more) each with Chow Chow or Pepper Relish. Sprinkle with more red pepper flakes and serve! Here is the Chow Chow recipe I used: Chile-Cucumber Chow Chow Recipe.